South Carolina defensive end Jadeveon Clowney has had a little problem with speeding lately. On Thursday, he was given his second ticket this month after reportedly doing 84 in a 55. A few weeks earlier, Clowney got busted doing 110 in a 70. 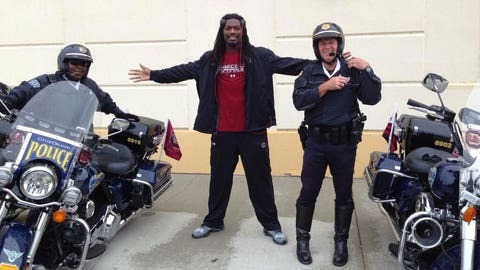 However, Clowney took to Twitter Friday afternoon to let everyone know there are no hard feelings between him and the police.